Work with TNP & TNC staff on developing and growing community partnerships through the TNC space and beyond. Sean is a Los Angeles-based writer, community organizer, and shamisen player. He currently resides in Little Tokyo and enjoys fries. Alex (he/him) is a fifth generation Japanese American and likes cities, houseplants, making noodles by hand and driving with his partner. Brian likes to be fed mass quantities of food. Sophie is a second generation Chinese American invested in equitable science, the good parts of art Twitter, and novels by Asian American women that make her cry in public. Sophia is a food stylist with an affinity for Asian-American entertainment, noodle soups, and jasmine tea with boba, half sugar, no ice. 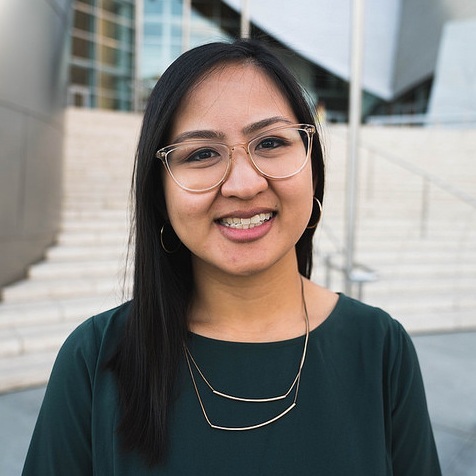 Linda Reyes (she/her) is a first generation Filipina/Burmese/Chinese-American who loves Baduizm, Rothko paintings, her nieces and nephew, and mohinga. Philip is interested in fighting games, Magic the Gathering, Auto Chess, magic tricks, and good music.